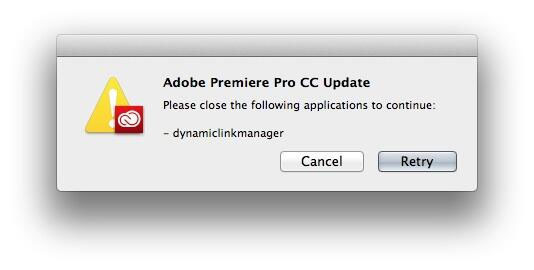 "Please close the following applications to continue - dynamiclinkmanager." Close the Creative Cloud apps that you are updating. Most of the apps that are included in the program use a system called Dynamic Link to communicate. So, it's necessary to close all Creative Cloud apps before installing or updating any apps. Sometimes the computer can still be in process of shutting down the underlying processes even when the applications are closed. If none of the apps are open, but you are receiving this error, wait about 30-45 seconds and click Retry. Sometimes the dynamic link process fails to close naturally. Manually close the process. 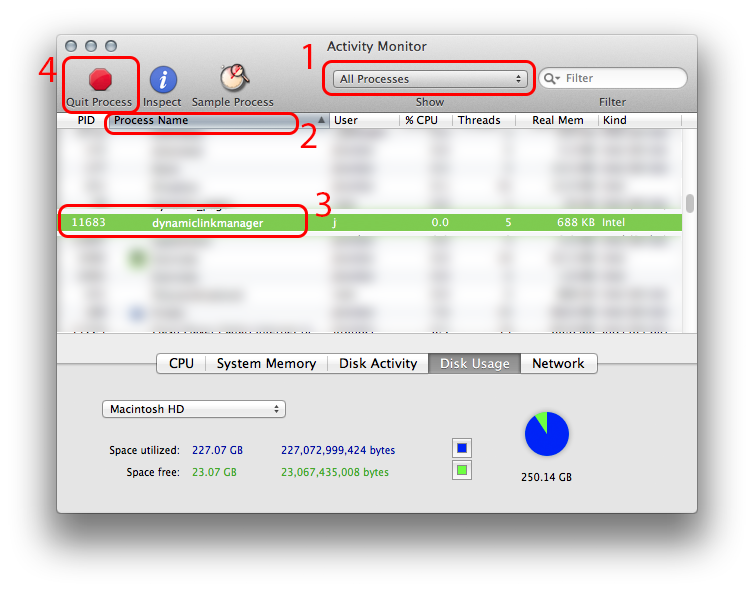 Go to Applications > Utilities and open Activity Manager. Choose All Process from the pop-up menu. 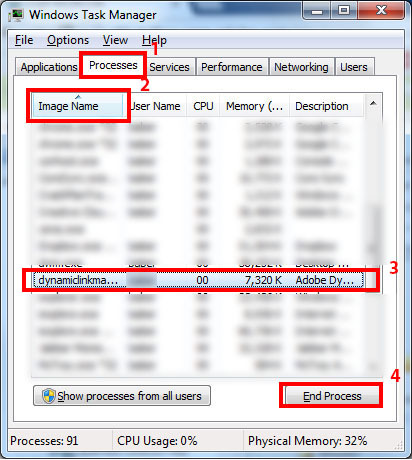 Click Process Name to sort the processes alphabetically. Hold down Ctrl and Alt, then press the Delete key. From the menu that appears, choose Task Manager. Click the Process Name header to sort alphabetically. On the resulting dialog, click End Process. Restart your machine and install applications or update before launching any products.